Having a creative outlet is super important. It’s nice to be able to do something you actually enjoy that’s not going to work. 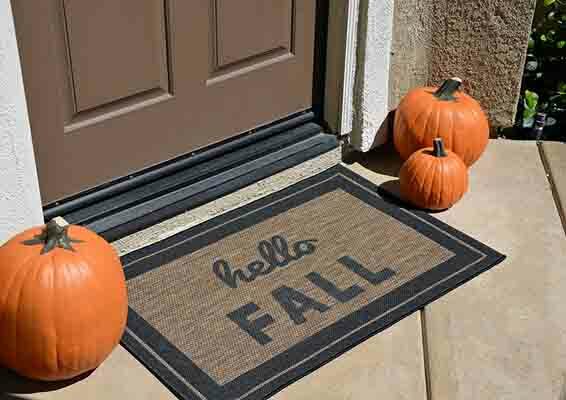 If you’re the type of person who uses crafting as their creative outlet, then you’re probably very familiar with vinyl cutters. These simple but important tools really help bring some pretty cool things to life. Purchasing one can feel overwhelming sometimes but don’t worry, we’re here to help. 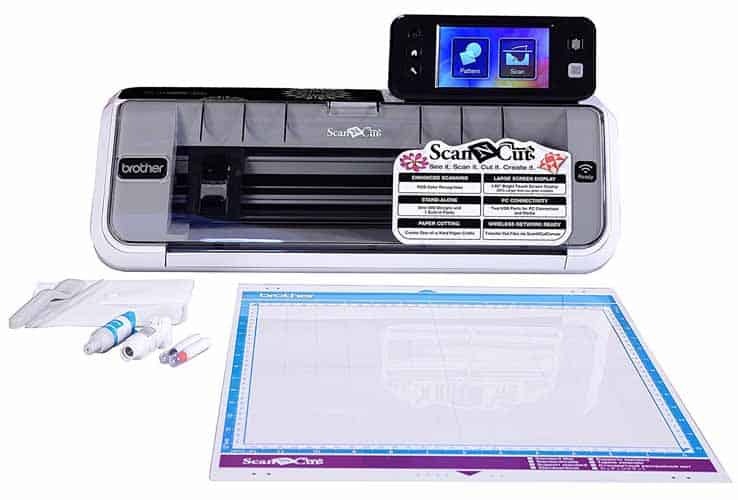 Check out our list for five of the best vinyl cutters. 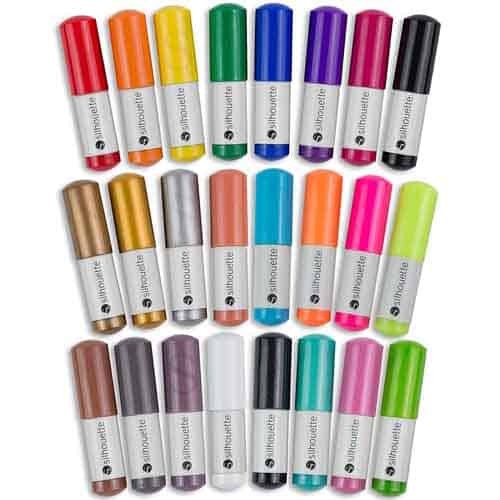 Silhouette makes one of the more popular vinyl cutters currently out there on the market – the Black Cameo 3. If you couldn’t tell by the name, this is an upgraded version of their previous Cameo 2. 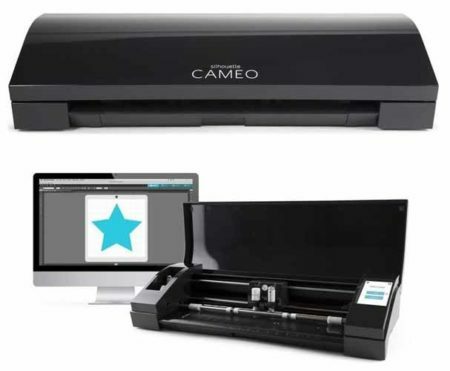 If you’re familiar with and enjoyed working with the Cameo 2, then you’re going to love the Cameo 3 even more. It has all the features of the last one plus a lot of improvements. And if you’re not familiar with the Cameo line, prepare to fall in love. One of the main new features is its use of Bluetooth technology. 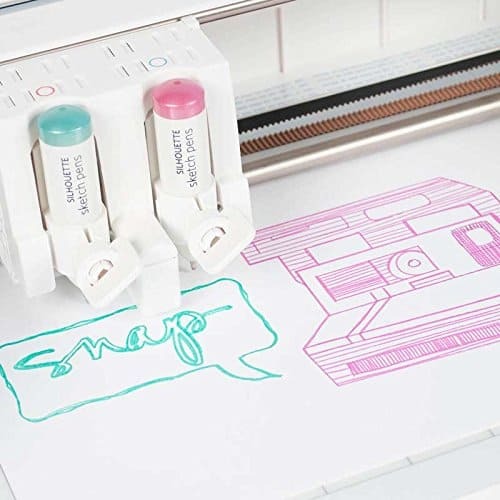 With the touchscreen, you can easily send your designs to the cutter and be cutting them within minutes. This comes in a bundle and includes everything you need to get started. It’s also super easy to set up and use so for that reason, we highly recommend this machine for beginners. If you noticed on the table, this actually comes with some supplies to get you up and going. So what exactly is included? You get a lot. 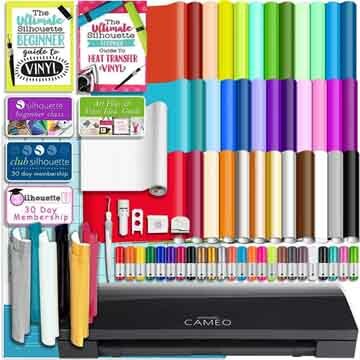 Including 36 sheets of 12” x 12” permanent oracal vinyl, six sheets of easyweed heat transfer vinyl, an assorted mix of 24 sketch pens, and one roll of premium 12” x 6” transfer tape. You will also get a free vinyl instructional guide from Silhouette School. You’ll get 100 free designs, one-year warranty, and customer service support, user guide and tutorials, a one-month subscription to the design store, and lastly a $25 credit to the design store. As a beginner, it truly does come with everything to get you started. 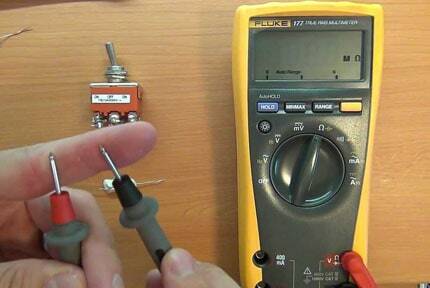 This is good for beginners and the hobbyist. 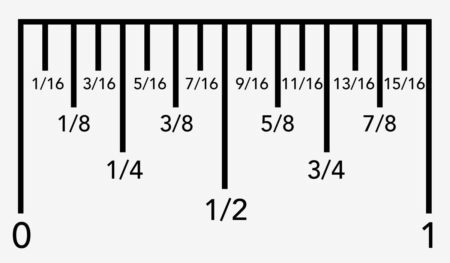 It’s not necessarily commercial-grade and the maximum cutting width is only 12”. 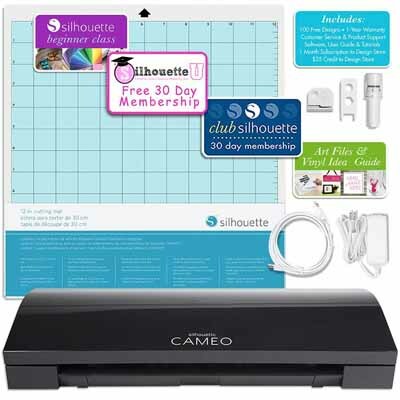 If you just do crafts for fun and aren’t worried about print giant projects, then go with the Silhouette Black Cameo 3. 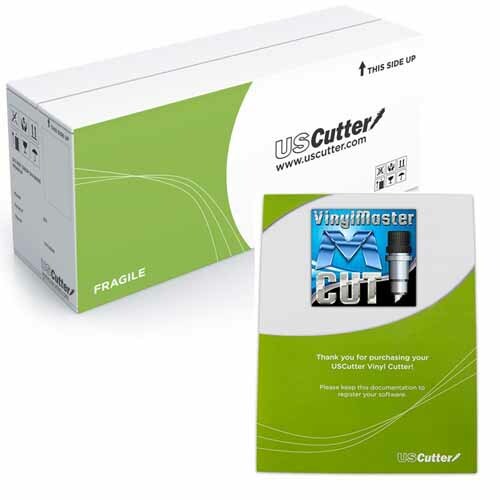 If you’re looking for something with a bit more… power behind it, then you should strongly consider the USCutter 28-inch Vinyl Cutter. There are some definite pros and cons to this machine and depending on what you need it for, it could be exactly what you need. 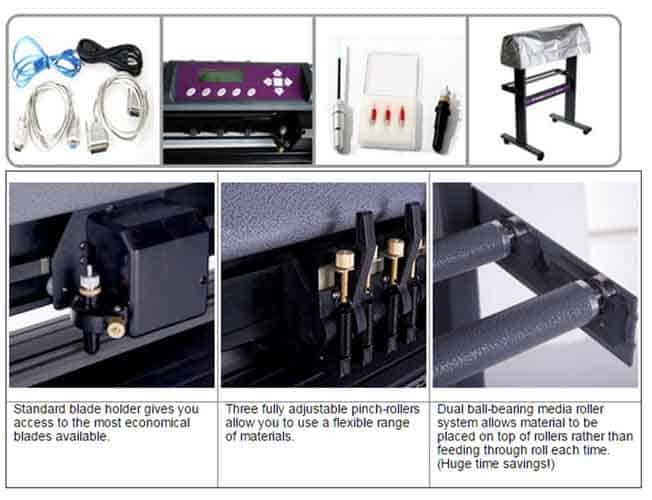 For starters, this vinyl cutting machine is not anywhere near as user-friendly as the previous one. If you’re not so technically-inclined, you may struggle with this a little bit. It comes with its own dedicated vinyl-cutting software but unfortunately, it’s unable to run on Macs. Bummer. You can always download a program to run Windows on your mac, but that’s a whole separate issue. It is significantly wider than the last one, which we love. It’s over the double the width at 28 inches. While it is pretty confusing to use, it does come in a kit! It’s actually a pretty good bundle for the price. If you’re looking to get the most for your money but don’t necessarily need everything that comes in a beginner’s kit, then we think you’ll be pleased with this bundle. 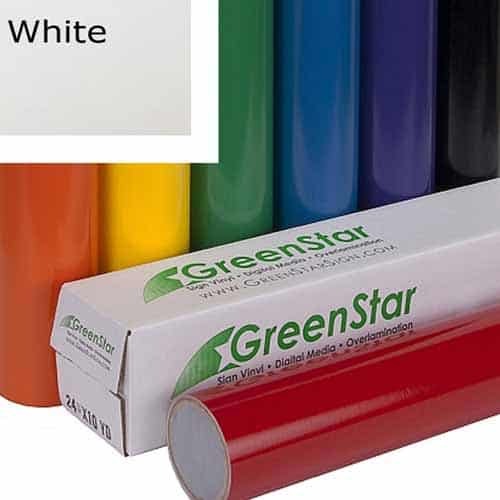 You get two rolls (12” x 5 yards) of Greenstar vinyl – one black and one white. You also get two sheets of magnetic blanks, two 10 yard transfer tapes, a hobby knife, and also a squeegee. There are some good things in there to add to your toolbox and also some decent vinyl to practice on or get you started again. Another one of our complaints has to do more with the software. Their program is pretty confusing and will take you a while to get used to and to learn advanced features. You’re going to have to spend a lot of time on YouTube at first learning what to do. This is a little confusing to figure out and only works with Windows computers, which is a bummer for us. With that being said, it does a good job when it comes to the actual cutting. The quality is there and it has a decent cutting width, we just wish it was a little more accessible to everyone. If you have a wide range of projects or do any sort of work for a client, you might need a slightly larger vinyl cutter. This one from USCutter is 34 inches so it should be plenty big to cut just about anything you encounter. It has two fully adjustable pinch-rollers that will allow you to use a flexible range of materials. This cutter really feels commercial-grade and super heavy-duty. It also comes with some tools to help you get started. 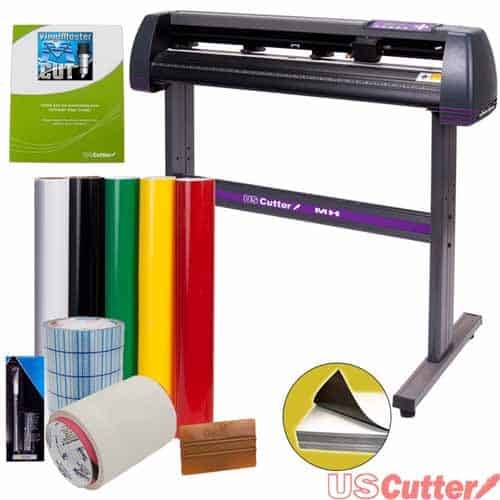 It comes with vinyl rolls, transfer tapes, magnetic blanks, a knife, a squeegee and even lifetime phone support! 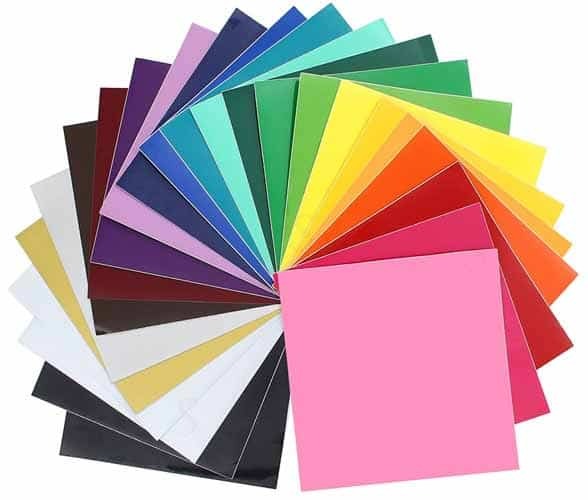 This can be super important when it comes to vinyl cutters as you may encounter a lot of technical issues. One slightly annoying thing is that this is not compatible with Apple computers. We’re not sure what vinyl cutters have against Apple, but a lot of software just isn’t compatible. Another semi-major downside (depending on what kind of work you do), is that this doesn’t contour cut. What is contour cutting exactly? It’s the process of first printing an image then using a vinyl cutter to go back and cut around the printed area. This is also a fairly big machine. If you don’t have a lot of room in your house, you may struggle to find a place to put this. This is a heavy-duty, professional-grade vinyl cutter. It’s not great to learn on and can be a bit difficult to use at first. 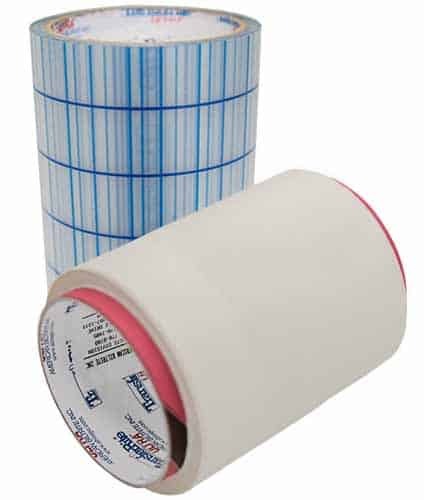 However, if you’re an experienced vinyl cutter and actually want something that’s heavy-duty enough for any project you encounter, then you should definitely consider the USCutter MH 34-in. 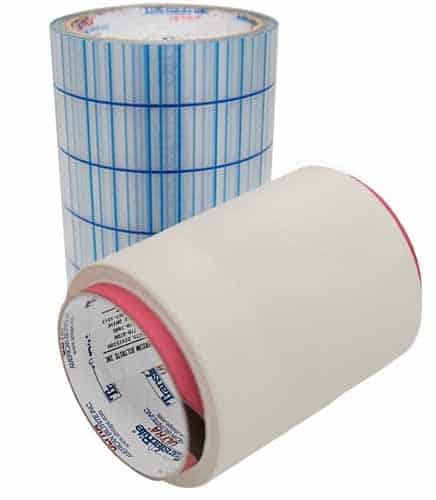 Just like the previous vinyl cutter was perfect for heavy-duty commercial use, the CM350 from Brother is perfect for the hobbyist vinyl cutter. It’s wireless ready so you’ll be ready to go straight out of the box – no annoying connections or anything to set up. This definitely has a smaller cutting width and is only 12 inches wide. 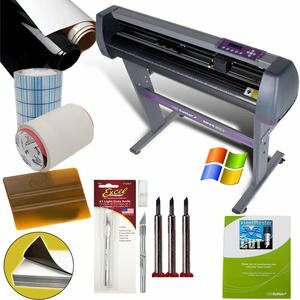 While a lot of the software that typically comes with vinyl cutter is confusing, the one with the Brother CM350 is not. It uses a free cloud-based web application and is super user-friendly and easy to use. 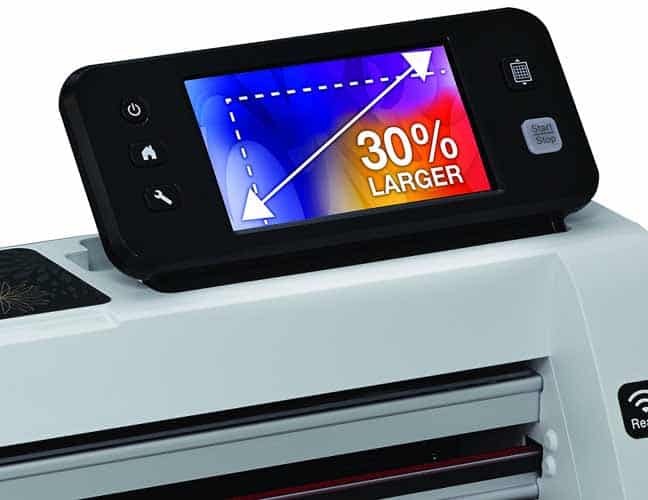 It even comes with 631 built-in, stand-alone designs, ready to print! Another thing that we love about the software is that you can actually use it on a tablet! This makes using the vinyl cutter easier than ever. While the software itself is super easy to figure out, the machine itself has a bit of a learning curve. You’re going to be using the instruction manual quite a bit to make sure you’re doing everything correctly. Once you get up and going, however, we think this will be one of your favorite vinyl cutters. With the CM350, we honestly don’t have a ton to complain about. It is on the smaller side but like we said, that makes it perfect for the more casual hobbyist. If you’re after something that’s fun, has a nice software, and also wireless capabilities, then go with this vinyl cutter from Brother. It’s also super compact so it can fit on your desktop or wherever you need it to. 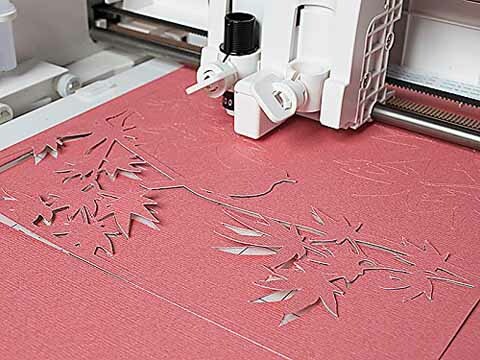 If you need something with more advanced features or something with the ability to cut larger designs, then you might want to go with a different vinyl cutter. 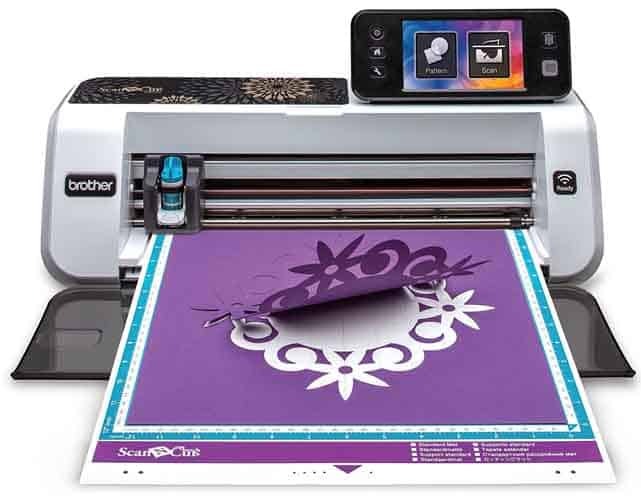 This is the second vinyl cutter from Silhouette that we’re including on this list. The first one was the Cameo and this one is the Curio. This is a vinyl cutter that comes packed full of great features. What are they, may you ask? Well, let us tell you. It has new stippling and etching functions for you more advanced users out there. There are also three different types of embossing methods – path emboss, score & emboss, and also print & emboss. While this is a great machine that’s pretty advanced, we do have a couple of issues with it. First, you have to pay for a subscription to their design store. We don’t like this because the last thing anybody wants is another monthly payment. It also doesn’t come with many materials to get you up and going. It comes with all the basics to function properly, of course, but it doesn’t come with any vinyl, magnets, transfer paper, etc. 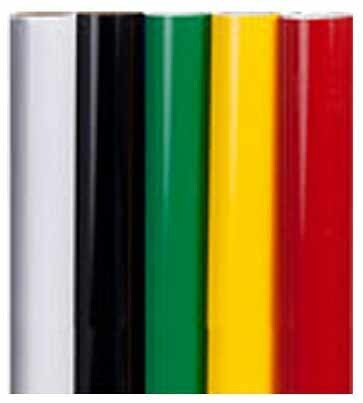 However, it is much cheaper than a lot of the other vinyl cutters out there so that sort of makes up for the lack of materials. 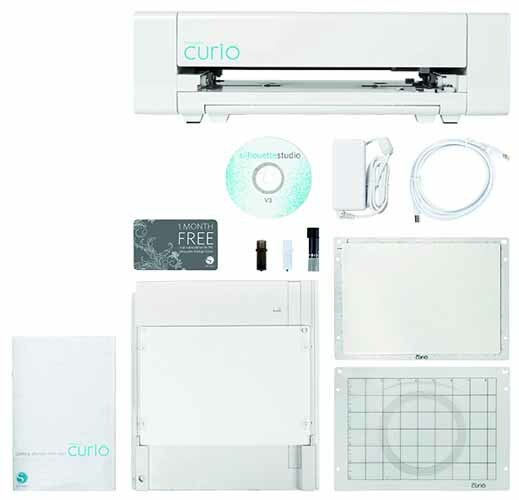 If you already have a lot of the materials and are just looking for something with a few more advanced features, go for the Curio. You can cut thicker material, there are three different types of embossing, and it does a pretty good job at cutting vinyl. Do note, that this does have a tray and whatever pattern you want to cut will need to fit the tray. The cameo allows you to cut patterns as long as you want. 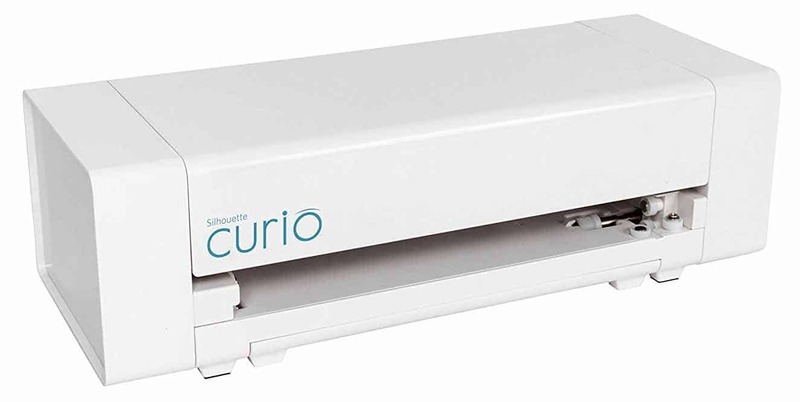 All in all, if you want something that has more features aside from vinyl cutting, the Silhouette Curio is a good choice. Vinyl cutters have a lot of features to keep track of! Of course it would be nice if one had every single feature but most of them are made specifically for different functions/people. Here are a couple of things you should consider before purchasing. This is one of the biggest ones. How big are the projects you’re going to be doing? 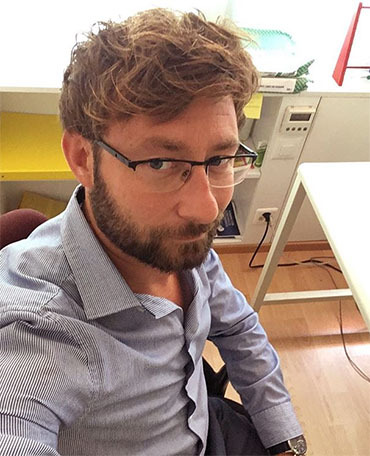 Do you do any work for clients? Do you just need a desktop vinyl cutter or something more advanced? If you don’t need the extra width, buying a smaller one could save you some money. How is the software that comes with it? If you’re not technically-inclined, you may want one that’s simpler to use. If you don’t mind putting in a little effort to learn a new software, then this shouldn’t be an issue. If you’re just getting started and need vinyl/other materials, then consider purchasing a bundle. There are plenty that come with materials to get you started if you need them. There were some good vinyl cutters on our list but only one can emerge as the victor of the best vinyl cutter of 2019. So which one is it? We have to go with the Silhouette Black Cameo 3. 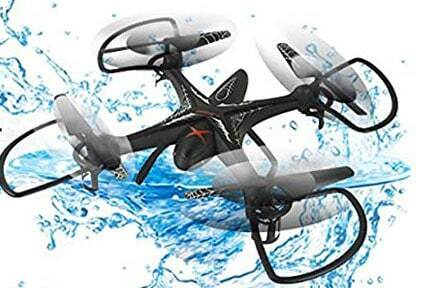 It comes in a bundle and is great for the beginner or even slightly more advanced hobbyist. It’s not quite commercial-grade but that’s okay. Thanks for reading! We hope this helped you choose the vinyl cutter that’s best for you. Have fun!